Seeds are a small body located inside the developing fruit, forming a new generation by which the adult plant reproduces and distributes its genes. Seed consists of three main parts, including fitness, endosperm and husk. The fetus is in a hibernation condition in which the seeds do not germinate. Seeds that are dormant have low metabolic rate that allows them to survive a long time without having to use up the stored material inventories, and will keep these essentials until conditions are right for germination. When soil moisture and temperature are correct, it will cause the seed to start biological process and sprout. Metabolic changes are: Water absorption, assembly of growth hormone, G'brlin. The hormones cause the creation of Hydrolytic enzymes that cause the disintegration of endosperm materials. Embryo is nourished through degradation products. Sprouting green leaves begins to perform photosynthesis. For seed-saving purposes, the most significant distinction among these types of seed is that gardeners can save true-to-type seed from open-pollinated and heirloom cultivars, but not from hybrids. Defining Open-Pollinated, Heirloom, Hybrid and GMOs. Open pollinated seeds (Heritage Seeds are inside) are genetically stable. 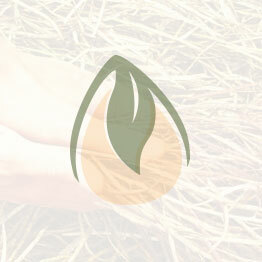 Considered pure seed generated as a result of self-fertilization of pure species. pollinated by insects, birds, wind, or other natural mechanisms. Because there are fewer restrictions on the flow of pollen among individuals, large populations of open-pollinated plants tend to be more genetically diverse. This in turn can allow individuals in the population to more readily adapt to local growing conditions. Pollination for open pollinated varieties allow for seeds conservation, the seed produced will remain true-to-type year after year. Maintaining the main characteristics of the parent plant. Heirloom plants must be open pollinated (but not all OP plants are considered heirlooms). Heirloom seeds have a history of being passed down within a family or community. the nonprofit Seed Savers Exchange (SSE) defines heirlooms as cultivars that have been saved and shared by generations of home gardeners. ֿhybrid seeds (F1) created as a result of cross-fertilization through a controlled method of pollination, in which the pollen of one species or cultivar is transferred by human intervention to fertilize the flowers of another species or cultivar. Commercial hybridization is done to deliberately create desirable traits in the resulting plant. The first F1 generation will usually grow better and have higher yield than the parent plant do to hybrid dominant genes. However, seeds produced from a F1 hybrid plant shold not be saved unless you are looking to create a new cultivars. F2 generation are not considered true and pure species. Therefore, Gardeners who use hybrid plant cultivars must develop or purchase new seed every season to produce plants that exhibit the same characteristics. Genetically modified seeds (GMO). Inserted Into embryonic cell nucleus are inserted genetically engineered DNA segment that provide different Resistances to plant.